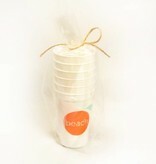 These 16 oz frost flex cups are perfect for all occasions! The Orange Beach 16 oz Frost Flex Stadium Cup is a favorite. 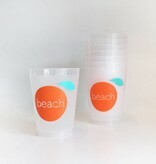 Shatterproof, recyclable, and made in the U.S. Note: The ounce size is liquid to the rim of the cup. The 16oz cup will not allow for 16 ounces of liquid without spillage.